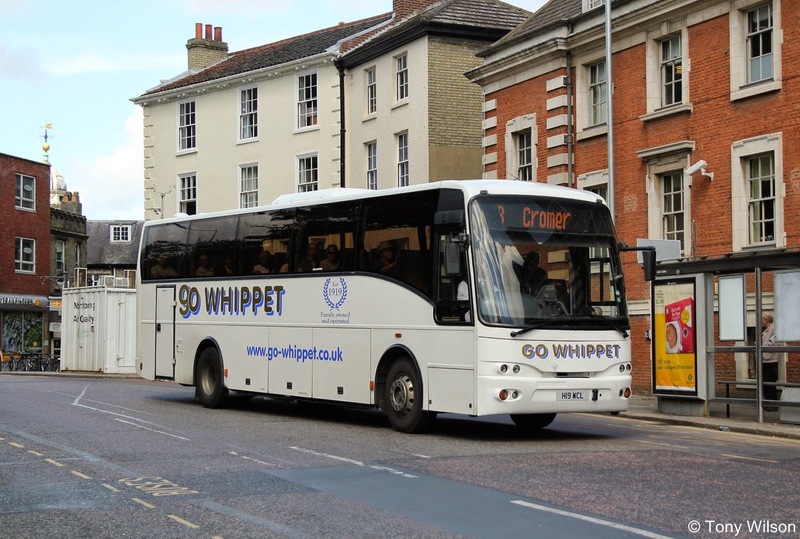 On Friday 14th November the long-established Cambridgeshire company Whippet Coaches Ltd was sold to Tower Transit an arm of the Australian-based Transit Systems operation. Speaking to The Hunts Post, Mr Lee, whose grandfather Henry set up the business, said the decision to sell had been a tough. “It’s been going for 95 years and we would have liked to have made it to the 100th year. But the family is getting older and we decided we would not go to a fourth generation so we thought this would be the best move. Western Greyhound – six years ago one of the country’s leading and multi award-winning independent operators – has been formally put up for sale. Staff and unions have been given 100 days’ notice that if a buyer for the business is not found, then it will be closed. A proposed sale of the business around 18 months ago to French group RATP was not progressed. It is understood that the high amount of fleet replacement to meet the January 2015 deadline for full DDA compliance by buses under 7.5-tonnes was the stumbling block. Western Greyhound runs 21 Mercedes-Benz Varios. 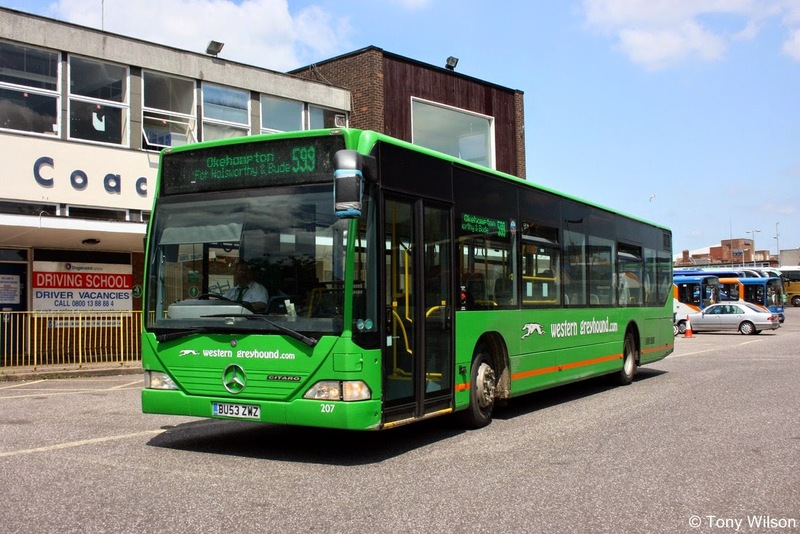 One of the largest operators in the South West, it runs a mixed fleet of 75 buses, from its wholly-owned main depot and modern workshops at Summercourt near Newquay and outstations at Wadebridge and Liskeard. The problems were exacerbated by a major fire, identified as arson, in May 2013 that destroyed almost half the fleet. A second arson attack at an outstation in January, which destroyed three buses, led to a re-evaluation of parking arrangements due to insurance issues. Although three men have been arrested in connection with the arson attacks, no charges have been brought. 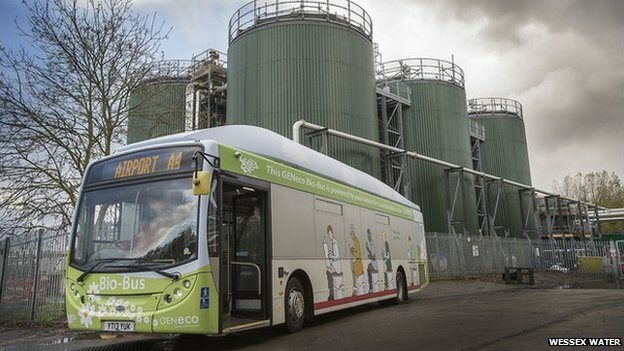 The UK's first bus powered entirely by human and food waste has gone into service between Bristol and Bath. 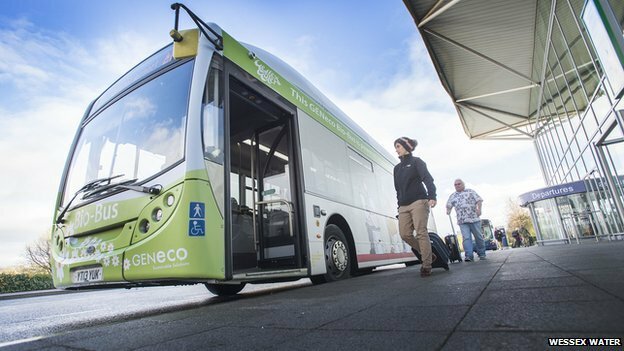 The 40-seat "Bio-Bus" runs on biomethane gas generated through the treatment of sewage and food waste. Green capital The service from the airport to Bath carries about 10,000 passengers each month. Engineering Director Collin Field said: "With so much attention being directed towards improving air quality generally, the public reaction to the appearance of this bus on a service between a world heritage city and an airport will further focus on the potential for this particular fuel." He said the bus was being launched at a very "appropriate" time, as Bristol is to become the European Green Capital next year. Bristol sewage treatment works processes around 75 million cubic metres of sewage waste and 35,000 tonnes of food waste each year.